Susanne Ross was my co-host and introduced my two amazing guests tonight. Amanda Romania is a special authority on several sacred sites around the world from Egypt to Peru to Sedona, Arizona. She shared her knowledge and special insights. 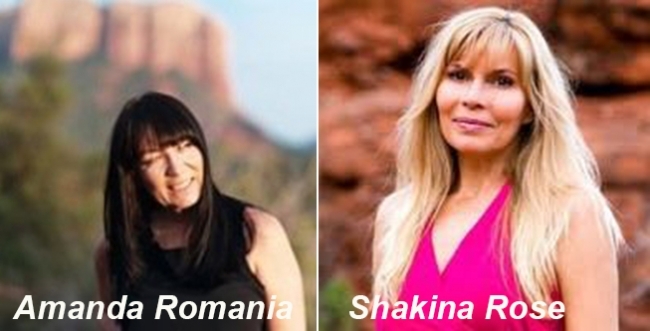 Shakina Rose is a Sedona resonance soul of special talent. Together, they made a stunningly bright and wonderful presence you will surely enjoy. The program is amazing, but I am sure will pale in comparison to the live event. JOIN US.